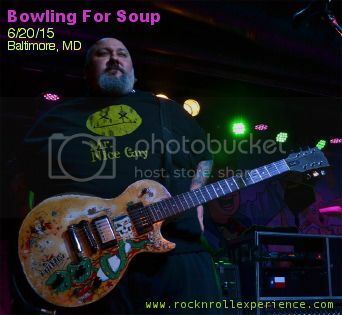 I had no idea Bowling For Soup could pack Baltimore Soundstage in 2015! The venue was nearly sold out and jam packed with an interesting mix of parents, kids, and peeps around the same age as Bowling for Soup all there to recapture their 90’s youth! I missed the opening band but from what I heard I doubt I missed much;I initially thought the band had a female singer until I walked inside the venue and realized it was just a high pitched dude! The Dollyrots played a high energy set of pop/punk rock and I felt like they were the perfect openers for Bowling for Soup because they carry the same vibe of fun and fluff in their music. 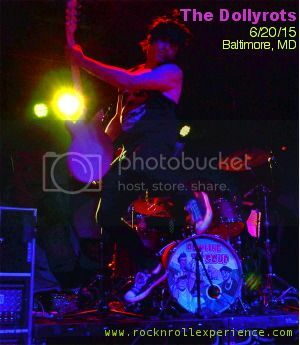 The Dollyrots are a husband/wife duo with a revolving door of drummers...they are like a punk rock Donny & Marie. 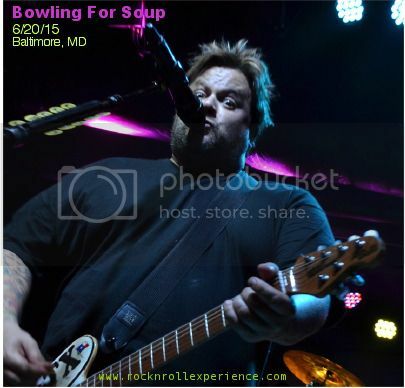 Bowling For Soup played an interesting set which was more humor at times than music. At any given moment the band would stop playing and start telling jokes, mess with the audience, or simply “pose” for the crowd to take pics. “Yankee Rose” by David Lee Roth was played BUT not by the band, BFS played the DLR song over the PA and posed for pics! I think the majority of the crowd said what I thought upon first seeing the band take the stage....holy crap, certain members gained ALOT of weight since their last go-round! BFS were onstage for well over 90 mins but played for around an hour technically. The show reminded me of Blink 182 performed by chubby dudes and for what it was, it was a fun night of comedy/punk/pop music!